Most homeowners and business owners pay insurance premiums for decades, and that money is gleefully and quickly accepted by Allstate, State Farm, Farm Bureau, and a hundred other insurers. But when a hail storm or a wind storm smashes the home or the business, these insurance companies find ways to make the damage a “non-covered occurrence” so that they can deny payment of the claim. But it doesn’t have to end with a denial. If you have read this far, hopefully you will call an attorney; the adjuster does not have the final say. In my 17 years of practicing law, no single issue has made me angrier than the way hard-working people are routinely abused by their own insurance companies when they file a claim for property damage. These are my favorite cases. They are my favorites because (a) I don’t have to charge the client a penny in order to get the house/business repaired; and (b) I get to go to war with multi-billion dollar corporations on equal footing. Let’s say you have a ten-year old roof on your house, and a windstorm causes damage. You know there is damage, because the shingles on your house are flapping in the breeze like wings that are about to lift the building to the heavens. So you report the claim to Allstate, and Allstate sends out what they call an “Independent” adjuster to survey your damage. While that adjuster may not be an employee of Allstate, you can bet that Allstate does not call him and pay him to inspect houses if he tends to find a lot of damage. No sir, Allstate has a LOT more confidence in the adjuster who can’t seem to see covered roof damage ever; so that guy gets a lot of business from Allstate, and Allstate denies a lot of claims based on the adjuster’s “independent” review/report. If it’s a really big claim (like a total replacement of a roof on a large commercial building), then Allstate will be SUPER thorough and send out an “Independent” Engineer. This guy is just like the adjuster except he drank less beer in college and was better at math, so he got an engineering degree, but that degree won’t help him see any covered damage. You may be asking yourself, “wait, if even I, an untrained layperson, can see the roof damage on my house, how can Allstate and its adjuster get away with just saying they don’t see it?” Well, they don’t say that they can’t see the damage – they say that the damage wasn’t caused anything that would be covered. 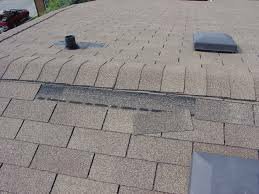 If your shingles are flapping in the breeze, it’s not because of the 80 mph winds that hit your house – it’s because the shingles were “improperly installed” by the roofer 10 years ago. And guess what? “Improper installation” is not covered under your policy. And even when an insurance company DOES pay a claim, they very often UNDER-pay the claim. Let me tell you a little secret – just because you can find a roofer to fix your roof for the amount of money that Allstate or State Farm or Farm Bureau said it was worth does NOT mean that the claim was properly paid. I am biased after doing this for a couple of decades, but if your insurance company tells you that your roof claim is worth $15,000 and you accepted that, and your roofer replaced the roof for that, you probably just got ripped off by thousands of dollars. The roofer wants the work, so he will figure out a way to replace the roof for whatever the insurance company will pay, but that doesn’t mean that the roof was replaced correctly. Was the felt replaced? Was the drip edge replaced? You have no idea – all you know is that you got a new roof. And when it starts leaking in 5 years and you call Allstate, Allstate will tell you that it’s leaking because of “improper installation,” and this time, they’ll be correct. The REASON it was improperly installed is because Allstate barely paid the poor roofer enough money to buy the shingles! Also, if water actually came into your house from a roof leak, there are many additional considerations that need to be reviewed. Most people have no idea how destructive interior water damage is, and many times, you cannot see it. In my experience, over 80% of people who are told by their insurance company that some damage is not covered instantly give up. And in my experience, 100% of people who get their roof replaced never even ask themselves if the claim was paid fairly. I believe most of those people have an entirely valid lawsuit against their insurance company. In Texas, the law requires an insurance company to adjust their claims in good faith. When an insurance company has a pattern of denying valid claims or underpaying claims, they can be monetarily punished. That money can go to the homeowner, as it should, but it won’t realistically happen unless the homeowner or the business owner hires a lawyer to battle the insurance company. (update August 2018) - I (Chris Harris) am licensed to practice law in the State of Texas only. As a result of this blog post, I have received hundreds of calls and emails from all over the country. While I have been happy to try to answer roof related questions for free, it has become a bit overwhelming, so I'm going to update this post to offer some simple steps to take, in order, when you're having trouble with your property damage claim. 1. Call around for roofers and ask if any are experienced in fighting insurance claims. If you find one, get an estimate (preferably drafted in a program called "Exactimate," some variation of which is used by many insurers), and provide that estimate to your insurance company. 2. If your roofer cannot get the claim paid, find out if your state has any "Public Adjusters." These are individuals that act as advocates for home/business owners, and they typically are compensated based on a percentage of your claim. For example, if it is a 10% PA agreement and your insurance company pays $30,000 to replace your roof, the PA receives $3,000 of that recovery, and you have $27,000 to fix your roof. 3. If steps 1 and 2 don't work, start calling lawyers in your area. You are looking for attorneys who handle "first party insurance claims." 4. If none of the above works, and you are in Texas, feel free to write or give us a call.